The Thalea String Quartet is dedicated to bringing timeless music to audiences from all walks of life. 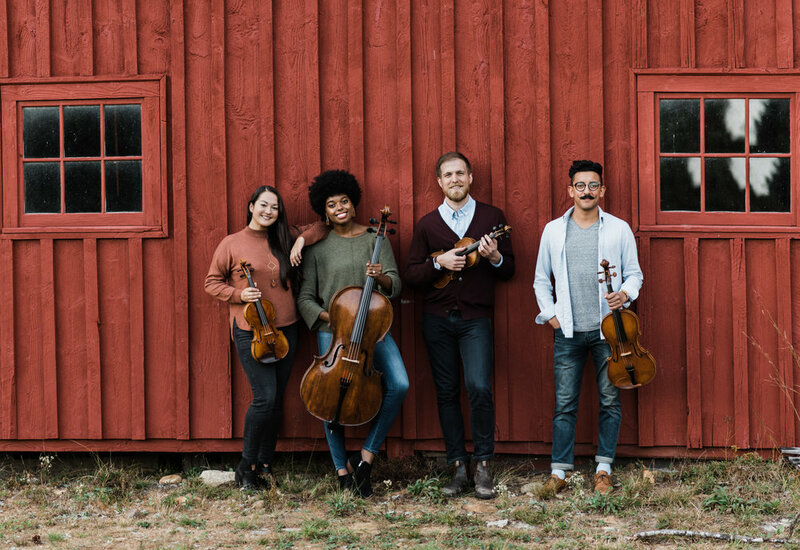 From living rooms to concert stages around the world, the Thalea String Quartet aims to connect with audiences on a musical, emotional and personal level, from first time listeners to string quartet aficionados. They are devoted to building a new and diverse audience for chamber music through innovative programming and community engagement. The members of the Thalea String Quartet are dedicated educators and bring their commitment to teaching and community engagement to their frequent educational and community performances. They have performed educational concerts to students of all ages and regularly perform at care facilities across San Francisco. The Thalea String Quartet was recently appointed as the Sphinx Ensemble at the 2018 Great Lakes Chamber Music Festival and will serve as ensemble-in-residence at this year’s Bear Valley Music Festival. They were recently named finalists at the upcoming Chamber Music Yellow Springs and Coltman competitions. Christopher Whitley (violin) is originally from Toronto, Ontario, Canada, Kumiko Sakamoto (violin) is from Medicine Hat, Alberta, Canada; Luis Bellorín (viola) is from Naperville, Illinois, and Titilayo Ayangade (cello) is from Cincinnati, Ohio. For Thalea String Quartet schedule, CLICK HERE.